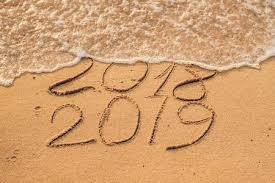 Tis the season for taking inventory of your 2018 goals and looking forward to what you are going to create in 2019! In this interactive workshop, we will do a closing exercise for 2018 acknowledging your wins and successes while making peace with your past. This is a great opportunity to examine what is ready to fall away in your life and what is waiting to be born. What do you want to consciously create for the upcoming year? A little intention goes a long way. This workshop will help you create a personal theme for 2019. Your theme will be the filter for your life over the next 12-months, and help carry you forward into the New Year. Using guided imagery, we will create a rich, fertile soil for you to step into your possible future.